Peperonata, or sweet pepper stew, is one of those classic Italian dishes. 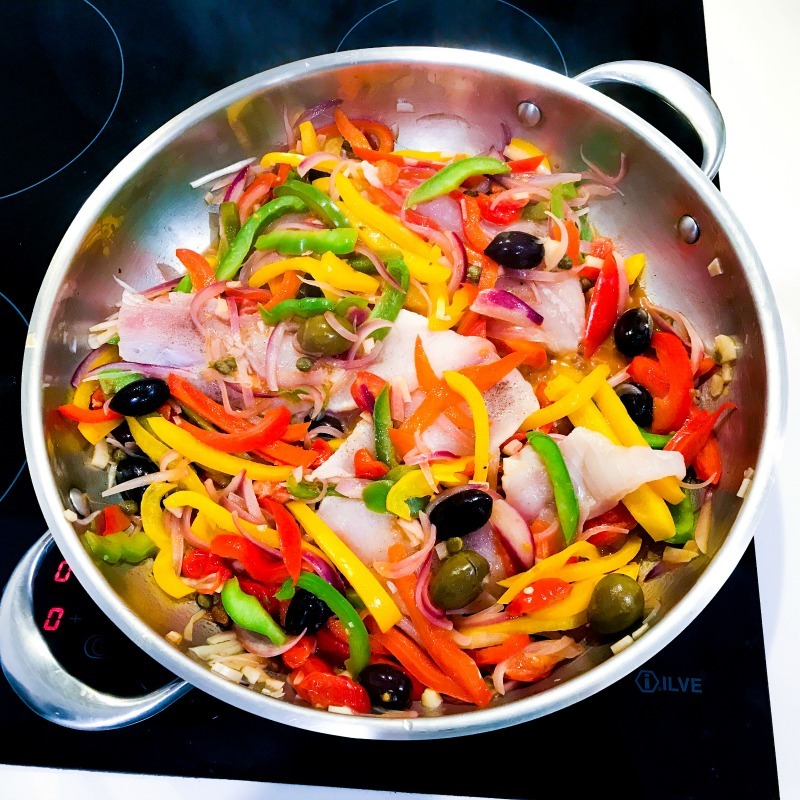 My favourite way to eat it is with fish, that we cook in the same pan as our peperonata, infusing it with the vibrant peperonata flavours. The core ingredients in Peperonata are capsicum (bell pepper), red onion, garlic and olive oil, but every family has their own variation. Some add olives, tomatoes, tomato paste, balsamic vinegar, chillies and fresh herbs. The one thing I DEFINITELY add to my peperonata when I am havig it with fish is capers. Lots of capers. Different families seem to hold pretty strong views about how the capsicums/peppers should be chopped. Some insist that the onion and capsicum should be cut into long thin slices, while others insist on a chunky dice. And the cooking time is also an area of difference. Some cook their peppers low and slow until they are super soft and almost caramelised. Others choose a quick cook over high heat, almost like a stir fry. White fish fillets - I have used snapper in the dish in the pics. I also like to use whiting for this dish. Place all ingredients (except basil) into a large pan and cook over medium heat until cooked through, stirring occasionally. 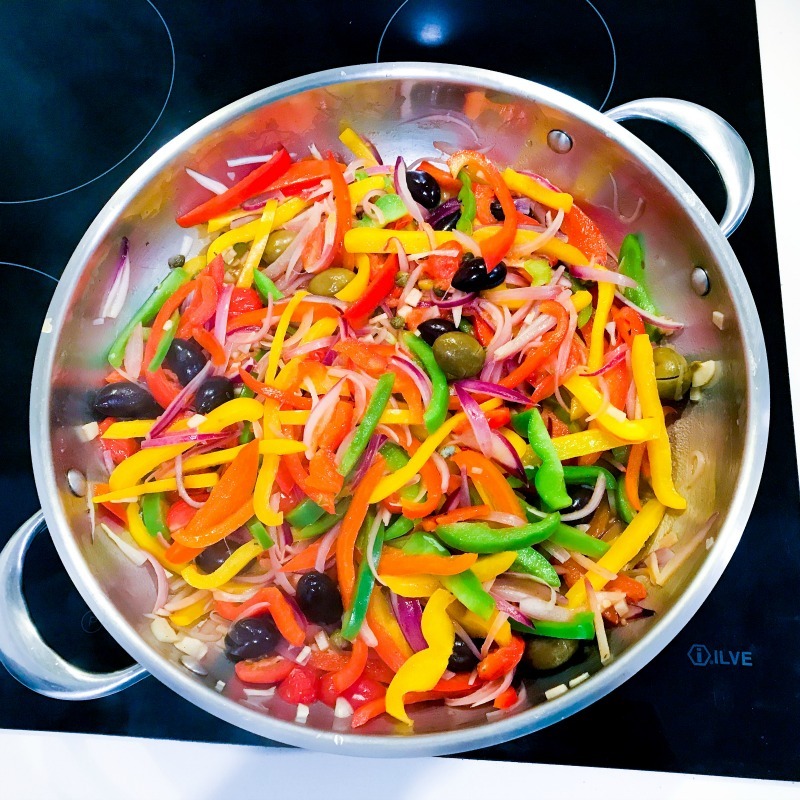 After cooking your peperonata for around 15 minutes, place your fish fillets in your pan, on top of your peperonata mix and season with salt and pepper. Now gently spoon your peperonata mix over your fish fillets, cover and allow your fish to cook through. Cooking time will depend on how thick your fish fillets are. 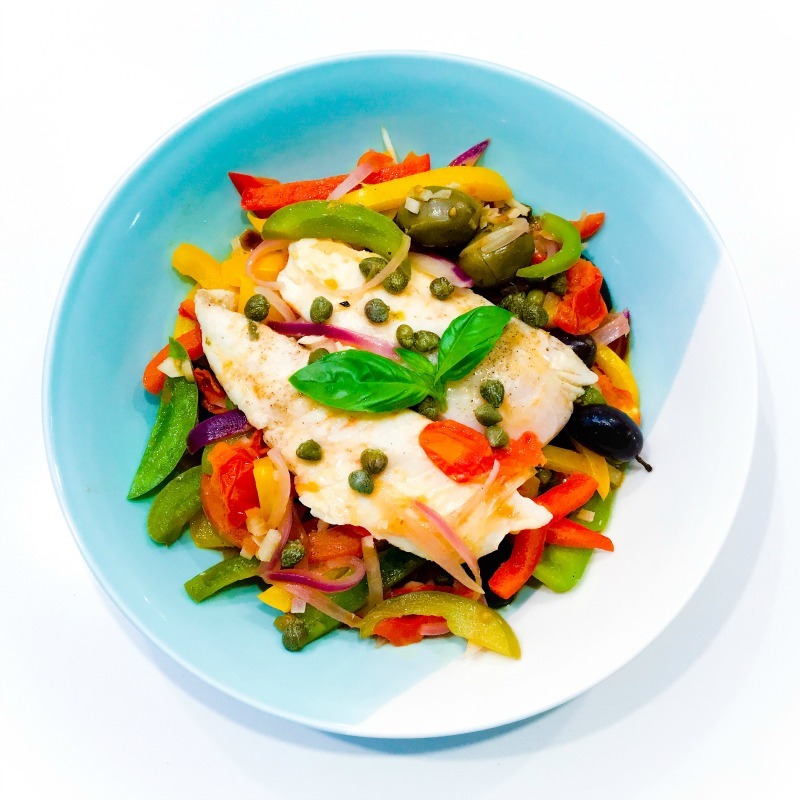 When your fish fillets are cooked through, spoon your peperonata onto your plate, top with a fish fillet and garnish with extra capers and your freshly torn basil leaves.